Last week, Facebook proposed a series of sweeping changes to its policies regarding user data, changing the language to clarify the amount of control Facebook has over the information on its pages that users make public. However, six major consumer privacy advocacy groups sent a letter to the Federal Trade Commission on Wednesday urging them to block Facebook’s policy changes. Though Facebook intended the changes to merely clarify the policies it already practiced, it’s now apparent that seeing the site’s views on privacy in plain black and white language has angered many. The FTC hasn’t yet announced what actions, if any, it plans to take resulting from the letter, though it’s unlikely that these consumer privacy groups will allow Facebook to implement the new policy language without a fight. 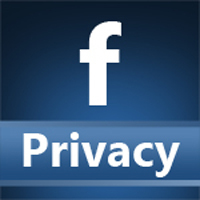 In response to the push back from privacy groups, Facebook issued a statement yesterday, “We are taking the time to ensure that user comments are reviewed and taken into consideration to determine whether further updates are necessary and we expect to finalize the process in the coming week.” This was published by the Los Angeles Times and Politico.